I am one of those Christmas people who must resist celebrating the onset of the holiday in October. I usually spend Halloween counting down the minutes until November 1st, and then blast Mariah Carey's All I Want For Christmas Is You until my neighbors scream. 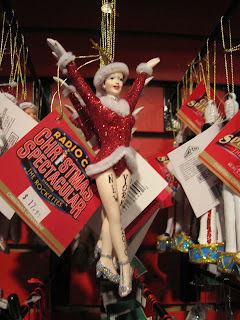 Naturally this makes me a fan of all things involving Christmas ornaments. 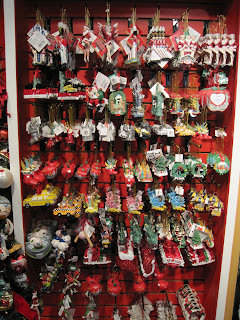 Of the many Christmas ornament stores at the Holiday Shops, I felt drawn to Once Upon A Christmas because of the wide selection of ornaments. A little deeper into the store and it's a cartoon wonderland of ornaments. I'm sure these are aimed for children but I lost it at the Spongebob section. How amazing are these? 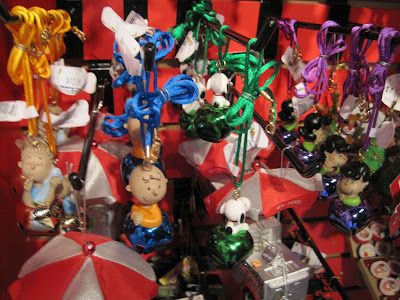 If you're looking for something a little more timeless, there is a collection of Peanuts ornaments. I'm more of a Snoopy but you're welcome to help yourself to Linus, Lucy, and, of course, Charlie Brown. Yet, the pièce de résistance for me is The Simpsons ornament selection! Although I haven't watched the show in a while, it will always be a part of my childhood. 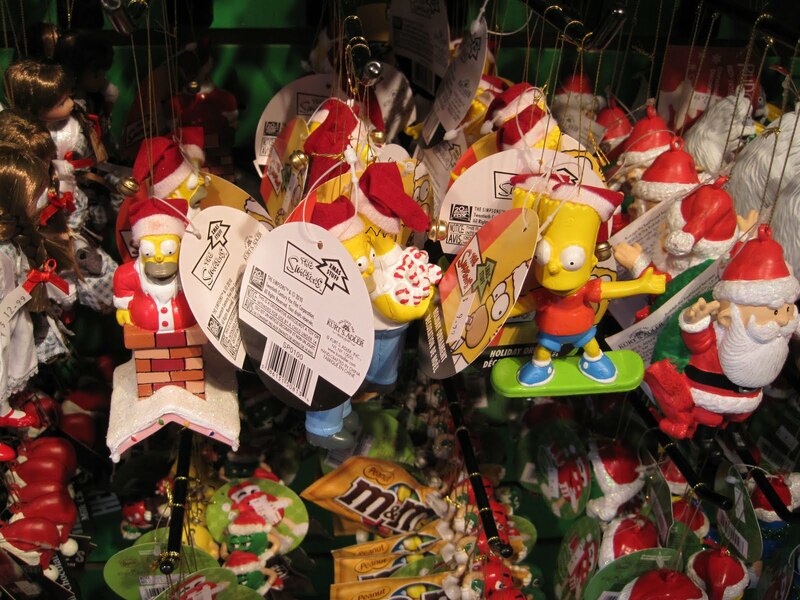 I'm tempted to buy every single Simpson ornament for my tree. 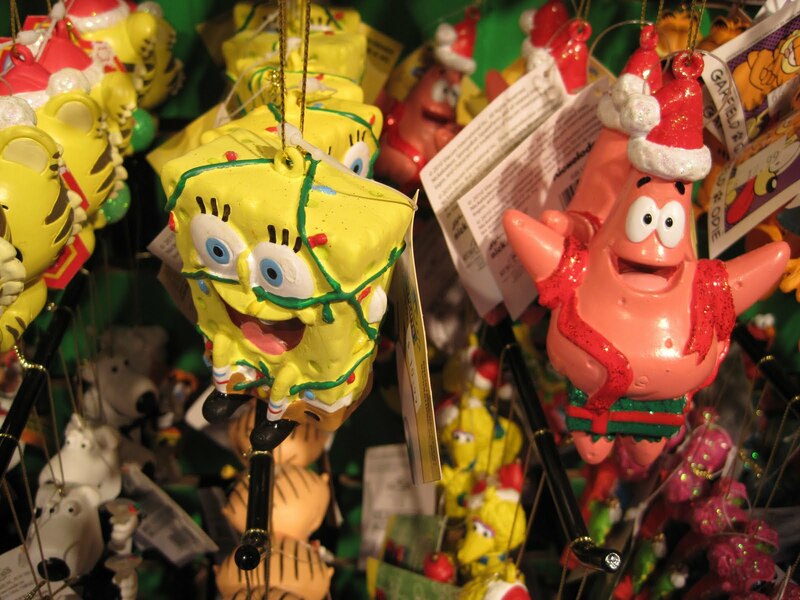 If you are against the commercialization of Christmas, there are plenty of ornaments that aren't adorned with cartoon characters and pop culture staples. The choice is yours. Enjoy!